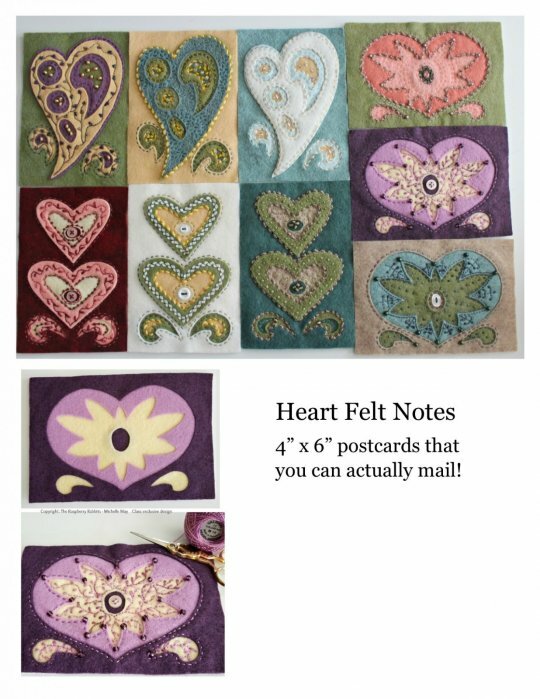 Join me for a lively adventure down the rabbit hole into the world of "Folk Art Fusion." My "Play Dates" are designed to inspire individual creativity with projects that can actually be completed and not end up in your UFO pile! 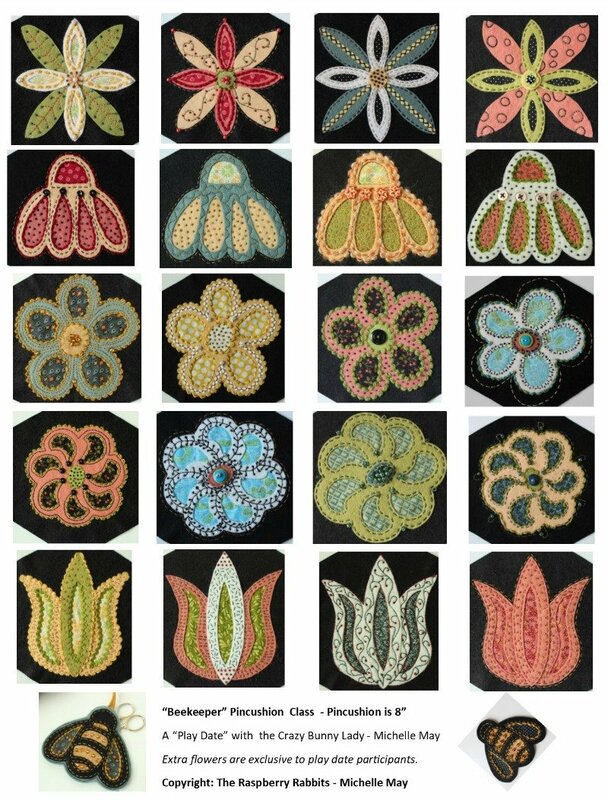 I will share my signature "reverse wool applique" technique, as well as, loads of ideas and inspiration on how to embellish your creations. Each student will leave with their own unique piece. There are no sewing machines required for my Play Dates. Students only need to bring two pair of scissors to class. 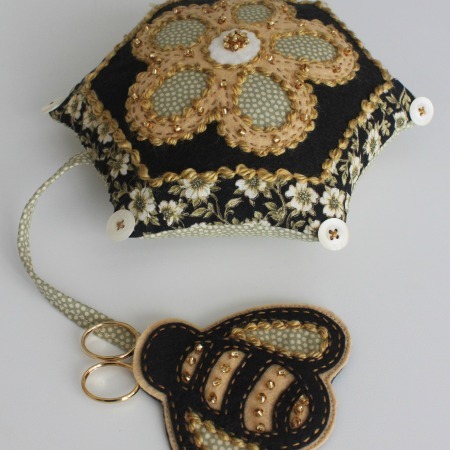 I bring the wool felt, Valdani threads, embellishments and everything else you need. Kit fee $35 per student. My classes are stress free and filled with friendship, conversation and some good laughs. Join me! 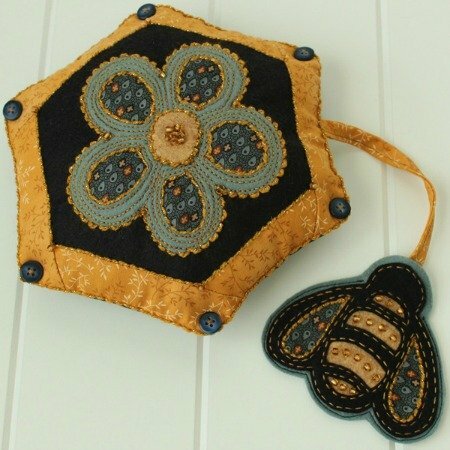 "Beekeeper Pincushion" play date (measures 8"). Five flower designs. Four are EXCLUSIVE for my students. For more information, send me an email and I will forward my contract. I also give a one hour "Chat" (lecture) on my adventures Down the Rabbit Hole, which includes a trunk show.